How Long Will The TRUE Performance 300 Last? In terms of build, the True ps300 has been built with True’s sturdy build and quality parts. Thus, the overall structure of this treadmill will more than likely be able to withstand moderate-heavy use. With that said, the orthopedic belt can introduce a new set of concerns. With a belt of this thickness, the motor and deck components can experience more strain than those that operate thinner belts. But, with proper lubrication and cleaning, you shouldn't have any issues. True has developed a good design for orthopedic belts that help combat the extra strain. A user who can properly maintain their Performance 300 shouldn't have anything to worry about. The 2019 Best Buy First Place award for the $3,000 to $3,999 dollar category goes to the Performance 300. Though we do have a few reservations about the orthopedic belt, we recognize the Performance 300’s solid build, valuable warranty, and utility. True has offered up a treadmill that is likely to withstand many years of heavy use with a quality feel and a few convenient features. To start, True has improved their warranty with the Performance 300. The price increase provides and seven-year-parts warranty and a one-labor warranty. This price category contains the first treadmills with such a warranty indicating a higher level of standard. True has also included a few more built-in workout programs with the Performance 300. Additionally, over the years we have liked True's tablet holder. Practically speaking, True has one of the better-mounted holders that help to eliminate the issue of a tablet or book rocking or falling off. While it is minor, an extra level of convivence is always appreciated. One feature that separates the Performance 300 from other treadmills is the orthopedic belt. While we do like the fact that it is a better-quality belt with a little more wiggle room, we do have a few words for the wise. If your chiropractor told you that your sitting habits were causing your back problems, you would not replace the floor that your chair sits on. You would more than likely spend a good deal of money on a more supportive chair. Likewise, if you do experience joint pain or some sort of discomfort while running, an orthopedic walking belt is not necessarily the answer. If you are going to spend a decent chunk of money on a treadmill, then you may also benefit from a more expensive pair of shoes with good arch support and extra padding. Thus, the orthopedic belt may provide a bit more cushion but the biggest help to a discomfort or cushioning problem will best be alleviated with a decent pair of running shoes. As per usual, we also like the amount of value that comes with buying a True treadmill. True is known for its quality customer service and its ability to provide more suitable, well-trained service technicians. Part of what makes the Performance 300’s price tag is the True name. One should not have any concern when choosing True from a customer care standpoint. The Performance 300 has won many awards and, most recently, was named one of the Top Ten Treadmills of 2017. We have said that it is one of the best brands for orthopedic belts. While we have expressed concern for the thicker belts, we have also credited True's ability to design good deck systems that support the orthopedic belts. True has consistently built the Performance 300 with quality. 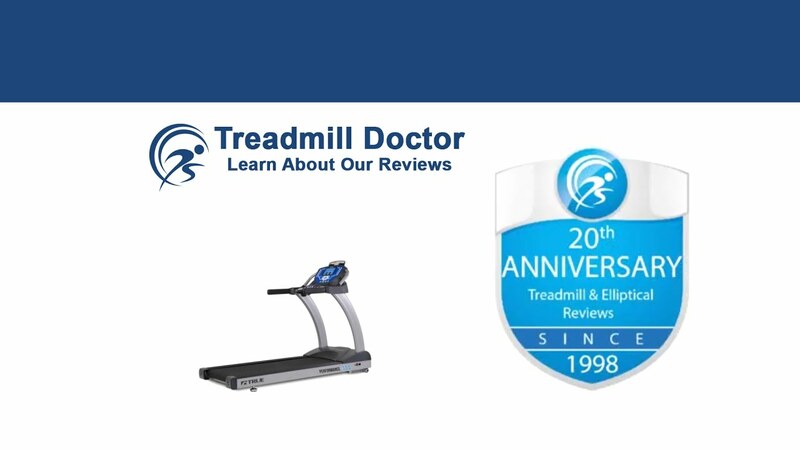 They have maintained the value of this treadmill by providing a better warranty, adding a better-quality orthopedic belt, and by providing convenient features. Accordingly, we would recommend our 2019 Best Buy First Place Winner in the $3,000 to $3,000-dollar category for a moderate to a heavy user.